Sapa - the true paradise for photographers! Home ›› Daily Updates ›› Sapa – the true paradise for photographers! Sapa – the true paradise for photographers! Vietnam is beautiful and fascinating country. Throughout the country, there are are many landscapes with many values. The combination among people, culture and nature make each destination unique and charming. 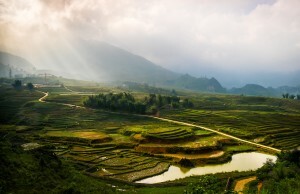 One of these top destinations, Sapa is a true land for photographers. It is a frontier town and capital of Sa Pa District in the Lao Cai province in northwest Vietnam. It was first inhabited by people we know nothing about. They left in the entire valley hundreds of petroglyphs, mostly composed of lines, which experts think date from the 15th century and represent local cadastres. Then came the highland minorities of the Hmong and Yao. The town is one of the main market ones in the area, where several ethnic minority groups such as Hmong, Dao (Yao), Giay, Pho Lu, and Tay live. groups, as well as by smaller numbers of Tày and Giay. These are the four main minority groups still present in Sa Pa district today. The Kinh (lowland Vietnamese) never originally colonised this highest of Việt Nam’s valleys, which lies in the shadow of Phan-Xi-Pǎng (Fansipan, 3143 m), the highest peak in the country. Sapa is the land of cascading green rice terraces populated by H’mong hill-tribe people; a vast mountainous wild area maintained as a pristine garden. The indigenous that inhabit the mountains have used the fertile land to their benefit cultivating rice paddies by carefully managing the water source. 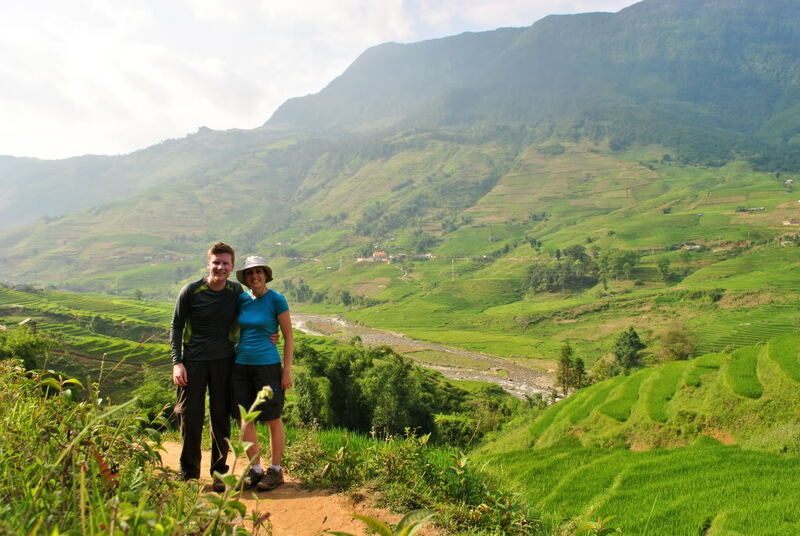 While all impressive trekking tours from Y Linh Ho to Tan Van offers a fantastic view to rice terraces and villages, travellers can enjoy the panoramic landscape of Muong Hoa valley as far as your eyes can see. Especially, these below places will offer you with chances for capturing unique and impressive moments. Our top advice for photographers who wish to keep the best images of authentic Sapa people is : find out the villages that are less-visited by tourist. The most favourite area is the strip of land that lasts from O Quy Ho to Ta Giang Phinh where you have plentiful chances to encounter the smiling Hmong, Red Dzao peoples who are totally unspoilt. Other villages: Sa Seng, Trung Chai. This is a highlighted opportunity to meet different ethnic minorities in Sapa, mostly Flower Hmong, Tay, Nung and so on. To make the best photos of Lao Cai or Sapa tribal markets such as Cao Son market, Can Cau market, Bac Ha market, Coc Ly market, and so on photographers should know the way villagers participate the market. Basically, people prepare their market event very early in the morning, sometimes even the day before. This is the procedure to have an extra-ordinary of a market tour: Follow the villager from their house, join other marketers from one of the nearest villages in the area, see what they buy and what they eat. The corners of food and clothes are always the most crowed, focus your lens in this part, you will get some amazing photos. The best photos of Sapa rice falls in summer and autumn time which means you should travel in low tourism season. 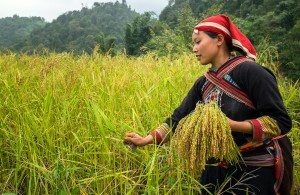 Local villagers start planting the rice in June or July while the harvesting time varies from September to November or longer depending on the weather. The best photos of rice terraces are: When the water is poured into the rice field, rice Planting day, harvesting day. Those who love the green of Sapa and its surround will find it very interesting to travel from Heaven Gate to Than Uyen where the sceneries changes in every turns of the road. Muong Khuong is absolutely our choice where you have similar landscapes, diversity of ethnology and diverse nature while Bac Ha boasts loftly mountain with villages perching on the hill side of karst mountains.